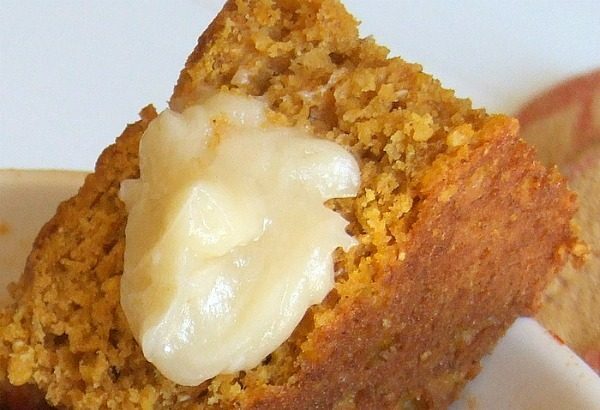 This Pumpkin Cornbread is terrific served with a little honey butter, and it’s really great dunked into chili too. 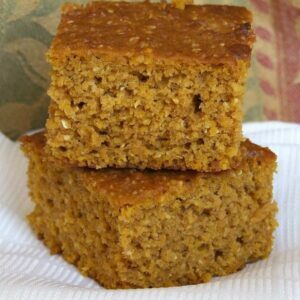 This recipe for Pumpkin Cornbread sounded so odd to me that I just had to make it. I wondered… would it be sweet? Would it be more like a breakfast bread? Or would it be appropriate to pair with chili- like other cornbreads? I tried pairing it with one of my chili recipes- Pumpkin Chili (of course). You can’t really taste any pumpkin in my pumpkin chili. It just has canned pumpkin puree in it, which basically serves as a texture enhancer to make the sauce in the chili smooth and velvety. It’s good stuff. The verdict is: this slightly sweet Pumpkin Cornbread is amazing. My whole family gobbles it up with smidges of honey-tainted butter. It happens to be terrific with chili too (especially the pumpkin chili). If you look closely at the first photo in this post, you’ll see little grains within the bread. I use whole-grain cornmeal (Bob’s Red Mill brand), and it adds a little crunch to the bread. 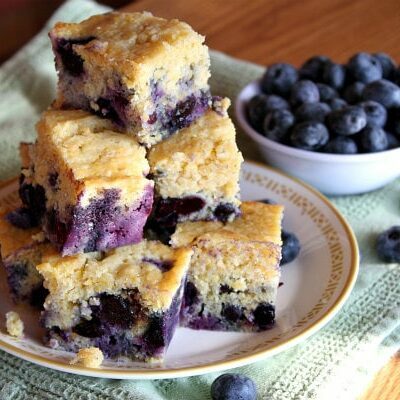 We like that, but you can certainly use a finer grain cornmeal if you prefer a smoother, softer bread. 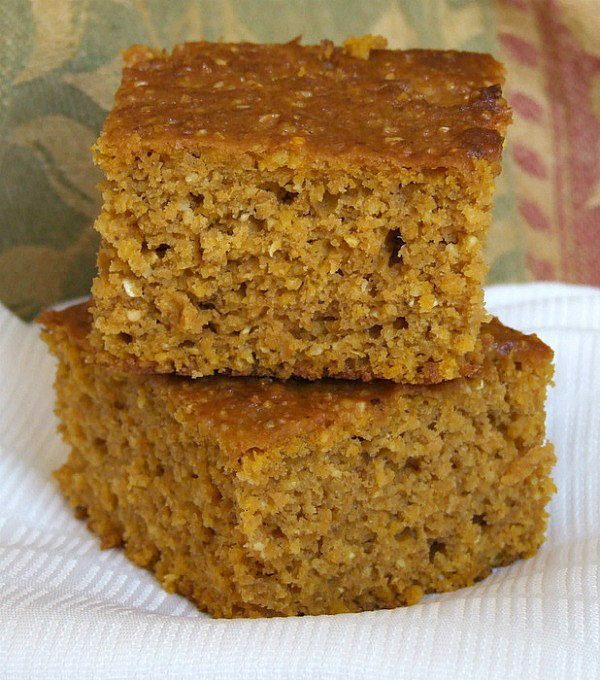 Pumpkin Cornbread leftovers are also perfect for breakfast the next day. You’ll find that it stays moist, and it’s still delicious. I recommend topping your breakfast cornbread with apple butter or pumpkin butter for a little morning treat. If you’re looking for more recipes to eat with this Pumpkin Cornbread, I suggest you try my Autumn Vegetable Soup and this Spicy Turkey Chili. Copycat Panera Squash Soup and Roasted Sweet Potato and Black Bean Chili would be good pairings with this bread too. 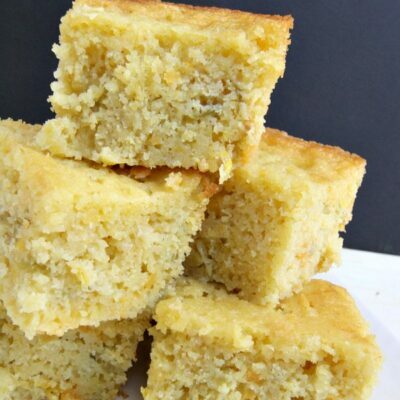 This is a really delicious cornbread recipe that is perfect for dunking in chili. Preheat the oven to 400°F. Spray a 10-inch glass pie pan or 9-inch square baking pan with nonstick spray. Sift the flours, baking powder, salt and spices into a large mixing bowl. Whisk in the cornmeal. In a separate bowl, beat the eggs lightly. Whisk in the pumpkin, brown sugar, oil and molasses. Make a well in the dry mixture. Add the pumpkin mixture and blend the batter with a few quick strokes (just until blended- don't over-mix). Pour the batter into the prepared pan. Bake for 30 minutes, or until the cornbread is browned and the surface has a slightly springy feel. *We like to use Bob's Red Mill coarse grain corn meal for an added crunchy texture. This recipe was originally published in 2008. It was updated and re-published in 2017. This was delicious! made it tonight and it was a hit with the whole family. My hubby isn’t usually a cornbread fan, but he went back for seconds. Can u sub regular flour for the wheat (how much), as I have no wheat on hand now! It should be okay with just using regular all-purpose. I have this in the oven now. Used leftover organic sweet potato in place of pumpkin and organic unrefined coconut oil for the oil. I had the Bob’s Red Mill organic medium grind corn meal also. Can’t wait to try it! Thanks for the recipe! I’ve never heard of this. 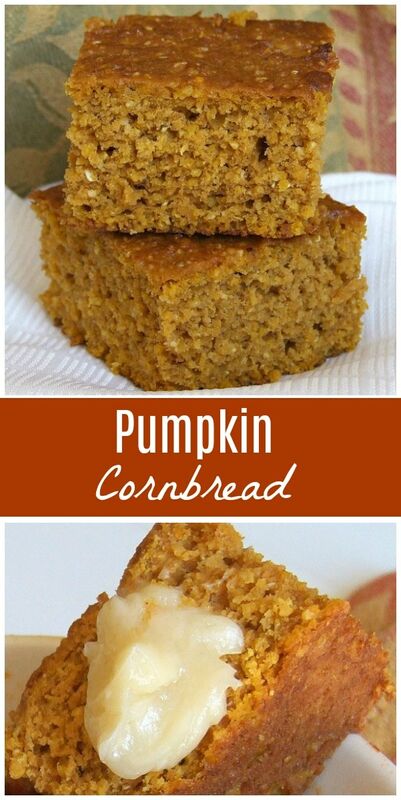 We like pumpkin bread and we like cornbread so we should like this! Thanks for sharing. Is it wrong that this seems like a good thing to go with summer pasta??? 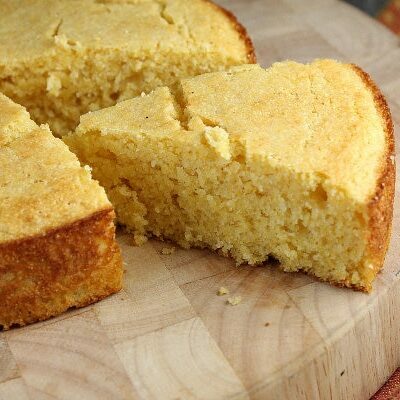 I have been on a cornbread kick so I think that am going to make this next week! Thanks for the great idea. I used this cornbread for a base for some stuffing – spectacular! Looking for a new stuffing twist? Look no further. This looks and sounds awesome! Love the color! Tried this last night with some chili–YUM! Soooo good served warm and cut open with a slab of butter. Thanks for posting! Yum! I must try this recipe. My kitchen smelled SO good while it was cooking! 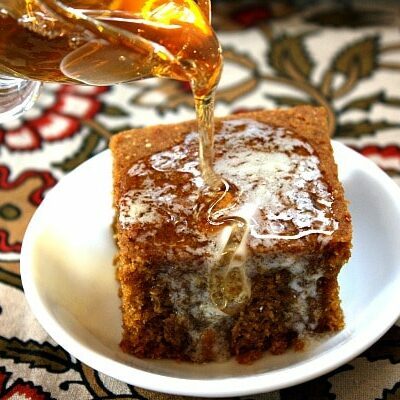 A major hit with my family….this will definitely be a recipe I will make lots and lots!!!! SO good! Added a smidge more pumpkin and about 1/3 cup ground flax too- will definitely be making again!